Now stocking a large inventory of industrial hose and accessories! IBT is your one-stop shop for industrial hose and accessories, offering you an unbeatable combination of quality products and outstanding service. 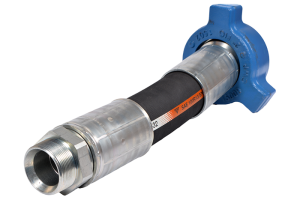 IBT represents the leading manufacturers of industrial rubber products and our approved assembly and testing facility can custom finish complete hose assemblies to your exact specifications. Contact your local IBT Industrial Solutions branch to learn more about how we can tailor fit a solution for your hydraulic needs.